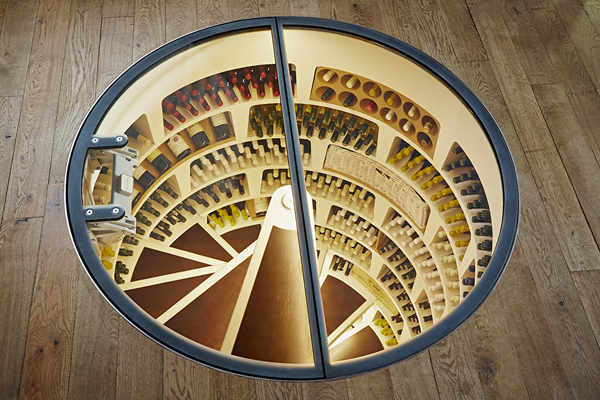 Genuwine Cellars, a world-leading custom cellar design company, can literally drill a cellar into wine-lovers’ dining room floors. Designed by UK-based Spiral Cellars, these spaces are built from precast concrete modules that can be integrated into new or existing homes. With a capacity reaching 1,900 bottles, they come standard with leather step treads and LED accent lighting.